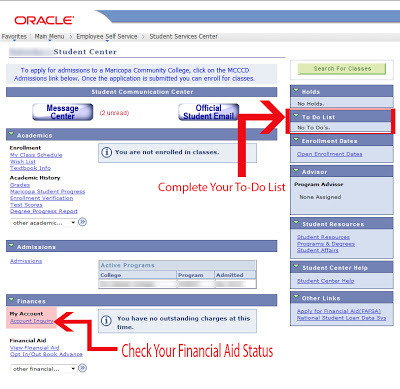 The my.maricopa.edu student center to-do list is the key to avoiding financial aid delays. 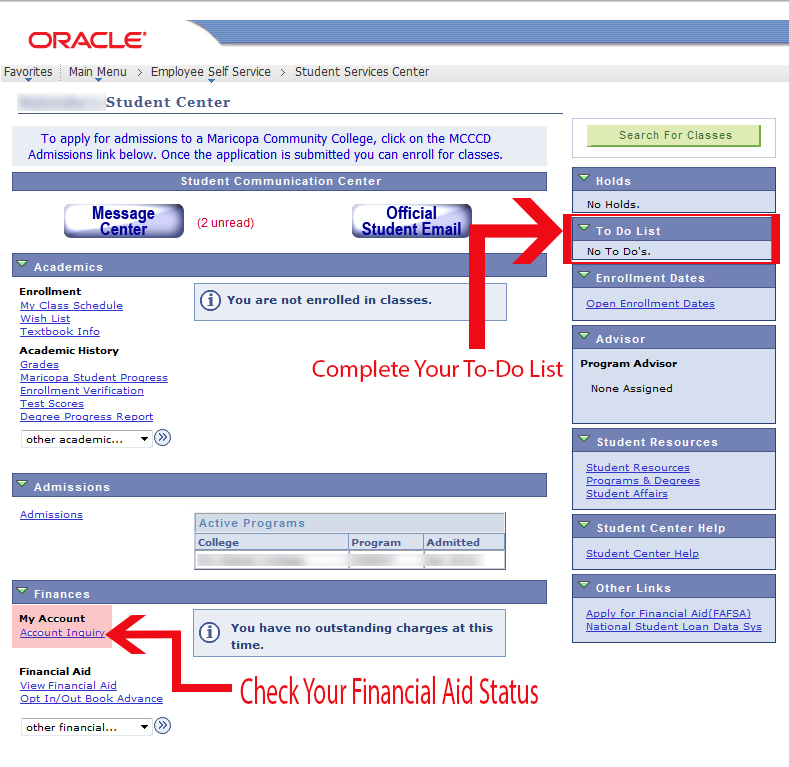 The to-do list is on the right-hand side of the student center and can be expanded by clicking the green triangle. The to-do list should be considered a high priority, because financial aid cannot be processed until everything in the to-do list has been completed.